Elasticsearch makes it easy to run a full-featured search server. In fact, its so easy, I'm going to show you how in 5 minutes! For the purposes of this tutorial, I'll assume you're on a Linux or Mac environment. You should also have JDK 6 or above installed. You should see something like this in the terminal. Java HotSpot(TM) Server VM warning: You have loaded library /tmp/es/elasticsearch-1.7.2/lib/sigar/libsigar-x86-linux.so which might have disabled stack guard. The VM will try to fix the stack guard now. We're now going to index some data to our Elasticsearch instance. We'll use the example of a blog engine, which has some posts and comments. Let's verify that all operations were successful. We'll explore these in greater detail in a subsequent tutorial. Let's see if we can retrieve the documents we just added via search. You'll learn more about the various URL query parameters in a separate tutorial. The usual Lucene query syntax is available either through the JSON query language, or through the query parser. To shutdown Elasticsearch, from the terminal where you launched elasticsearch, hit Ctrl+C. 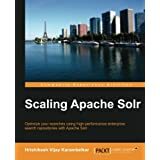 This will shutdown ElasticSearch cleanly. Elasticsearch is fairly robust, so even in situations of OS or disk crashes, it is unlikely that ElasticSearch's index will become corrupted. 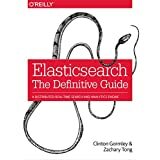 Check out one of the books about Elasticsearch below.